Just because the regular season is over does not mean the Fantasy Football fun needs to stop. Quite the contrary. 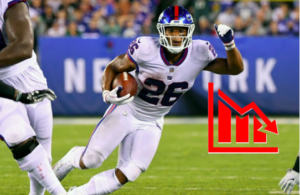 The Roto Street Journal has you and all your 2018 NFL Playoffs Fantasy Football needs covered. The below rankings lists primarily for DFS and one week purposes. Though fun, we also recommend at least one “Rest of Playoffs” league to give you four weeks of extended action + more of a “league” feel. Click here for set-up and general strategy, here for Rankings, and here for Team Rankings. The Saints topped 30 points in both contests against the Panthers, making Drew Brees ($6400) and his surrounding cast my favorite plays of Wildcard Weekend. Brees tossed 3 TDs in one encounter and 1 score in the other, with Michael Thomas ($7800) scoring in both. He’s the top wideout of the week. The last time out, Alvin Kamara ($8600) notched 126 yards, 2 TDs and 5 receptions, while he scored a TD in the other contest as well. He’s locked into all of my DFS lineups. Mark Ingram ($6900) tallied over 100 total yards, a score, and 6 receptions as well. His discount makes him attractive, though I’m siding Kamara. On the flip side, Cam Newton ($6500) and the Panthers have not experienced much 2017 scoring success versus the Saints. Newton tossed 0 TDs and 3 picks in their first encounter (with 1 rushing TD), though he tossed 2 TDs and added 51 ground yards too. Devin Funchess ($5900) and Christian McCaffrey ($6400) did the scoring in their last contest, and both are viable plays. Keep in mind, however, that stud corner Marshon Lattimore was out for this contest. His presence lessens Funchess’ appeal. 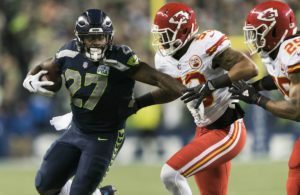 We just saw Todd Gurley‘s versatility cause this Titans defense fits (over 45 FPs), and the similarly-skilled Kareem Hunt ($8100) could experience similar success. Gurley dominated this team on screens, and the Chiefs notoriously love dialing these plays up under Andy Reid. Hunt’s a fantastic option and a strong bet for 25+ FPs. Meanwhile, Tyreek Hill ($6800) should provide the elite production of Julio Jones and Mike Thomas, but at a $1,000+ discount. He’s locked into my lineup. He’s an appealing stack with Alex Smith ($6300), my second-ranked QB but just the fourth most expensive. Most cases, I find the extra $200 for Brees, but Smith could totally outscore him. Obviously, Travis Kelce ($7100) is in a tier alone for WIldCard Weekend, but my money’s being spent elsewhere. As horrendous as he’s been, Marcus Mariota‘s $5500 price tag makes him a potential tournament winner. He’ll be underowned at this bargain, and provides the cap flexibility to stack your roster elsewhere. The Chiefs surrender the second most FPs in the league to QBs, and Mariota could have one gem swan song up his sleeve. Whether or not he goes off, I love Rishard Matthews ($4900) as the top value of Wildcard Weekend. The Chiefs have gotten roasted all over but especially out of the slot, and I’d be shocked if Matthews didn’t produce. Delanie Walker ($4700) is also a top target of mine if I don’t take the Kelce plunge. Lastly, DeMarco Murray still has not practiced, leaving the door open for another featured Derrick Henry ($6000) game. Though he underwhelmed in Week 17, Henry faces a much softer front here. Here’s a contest I’m likely fading. Sure, the million dollar contrarian play would be Tyrod Taylor ($4700) at his bottom barrel price and having him run in two scores. I lack the stones for this move. LeSean McCoy ($7500) is questionable at best to play, meaning there’s no part of Buffalo I’m playing. Which means I LOVE Jacksonville D/ST ($4400). They are worth paying up for with 20+ FP upside. On the offensive side, Leonard Fournette ($7400) is obviously the most attractive option against the most generous run defense in the league. After him, there’s little else that attracts me. Keelan Cole’s $5400 price tag seems hefty, and Dede Westbrook ($4400) has become an afterthought — though he was a drop away from a huge TD last week. In short, I’m turning elsewhere besides Jags D.
What’s left to say about 2017 Fantasy MVP Todd Gurley? Last time he touched a field, he put together back-to-back 45+ point performances to single-handedly deliver trophies. A three-peat would be tough, although Atlanta has been burned routinely by pass-catching backs. Gurley should be a strong bet for 7+ receptions and at least 2 scores. His $9700 price tag seems steep, and I won’t fit him into every lineup. But fading Gurley completely could cost you a shot at any money this weekend. Meanwhile, Jared Goff is tough to justify as the highest-priced QB on the board. Of course, this will likely leave him very low-owned, and a 4 TD day isn’t impossible by any means. Still, I haven’t found Robert Woods ($6600), Cooper Kupp ($5800), or Sammy Watkins ($5100) entering any lineups at their respective costs. There’s similarly priced guys I like a lot more. For the Falcons, I’m all about the run game. 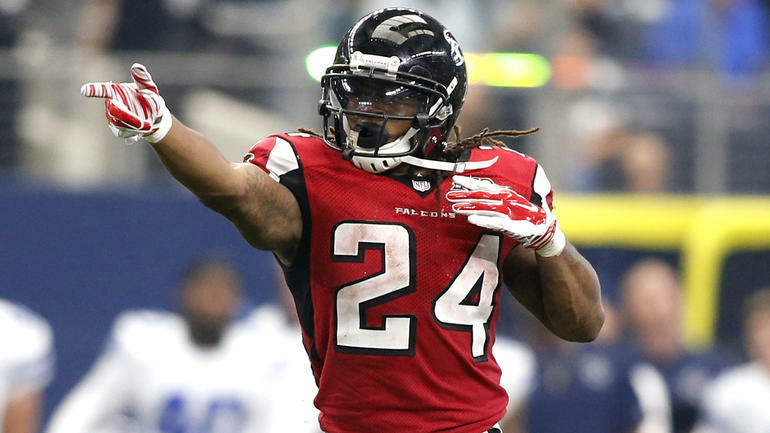 Devonta Freeman ($6300) seems criminally low if he’s a full go for Sunday; coach Dan Quinn expressed “no concern” on Freeman’s status after the star tailback got in a limited session Wednesday. He’s fresh off a 25 point day against one of the stringiest pass defenses in the league, largely due to 11 targets and 9 catches. With the Rams surrendering the second most FPs, Freeman should rumble for at least 25 yet again. If you foolishly fade Freeman, Tevin Coleman is a solid value at $4100. Cost-cutting options are minimal this week, and he’s among my favorite. The Rams D is far better against the pass, so even with the Falcons likely to be behind and chucking, Matt Ryan ($6100) and Julio Jones ($8000) aren’t targets of mine. 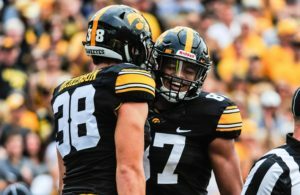 What do you think of our Wildcard Weekend Rankings? Are we way off on anyone? Sound off now and let us know!